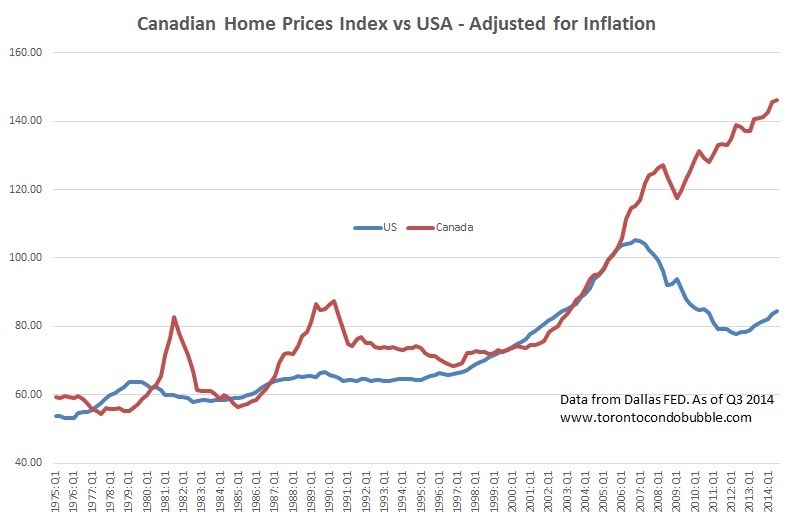 Who knows when Canada's housing bubble will burst. I've been writing this blog for over two years now and still nothing. Prices keep going up. But just because the bubble didn't burst yet doesn't mean that there isn't a bubble or that it won't ever burst. Over the past two years things have gotten even more dramatic. See the quote at the beginning of this post and then take a look at the chart below. 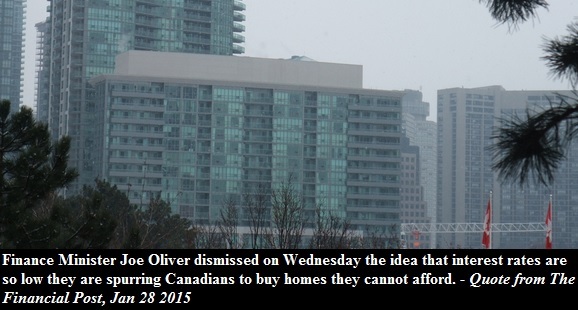 Oliver dismissing the idea that low interest rates spur people to buy homes they cannot afford is absurd. 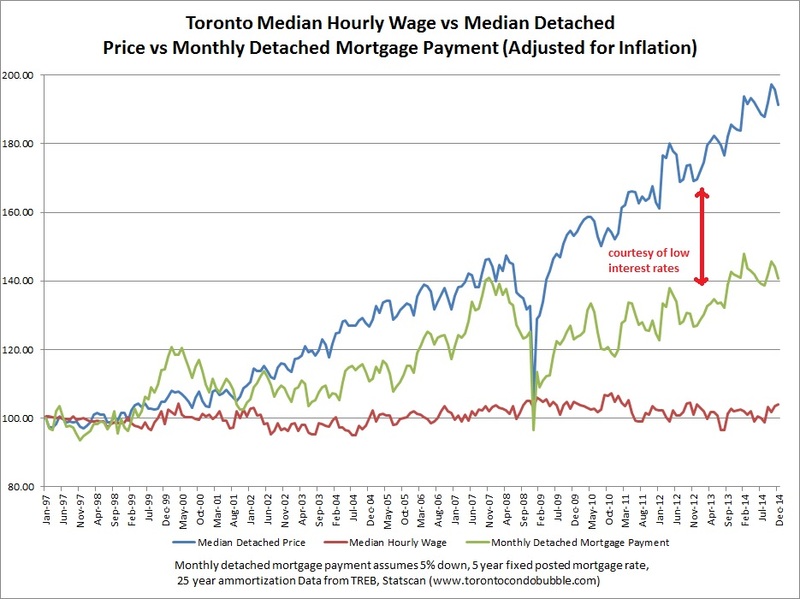 Torontonians make roughly the same amount of money they did two decades ago yet homes cost twice as much. Of course it has nothing to do with the low interest rates. "I’ve said again and again we don’t think there’s a bubble" said the Finance Minister. Notice the word "think". 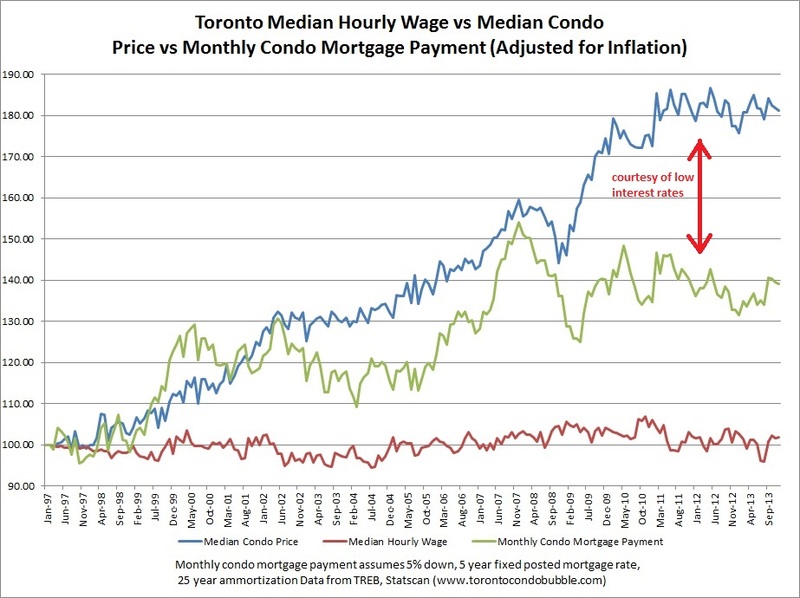 It's not that they actually think that there's no housing bubble in Canada, they're simply stating their position. 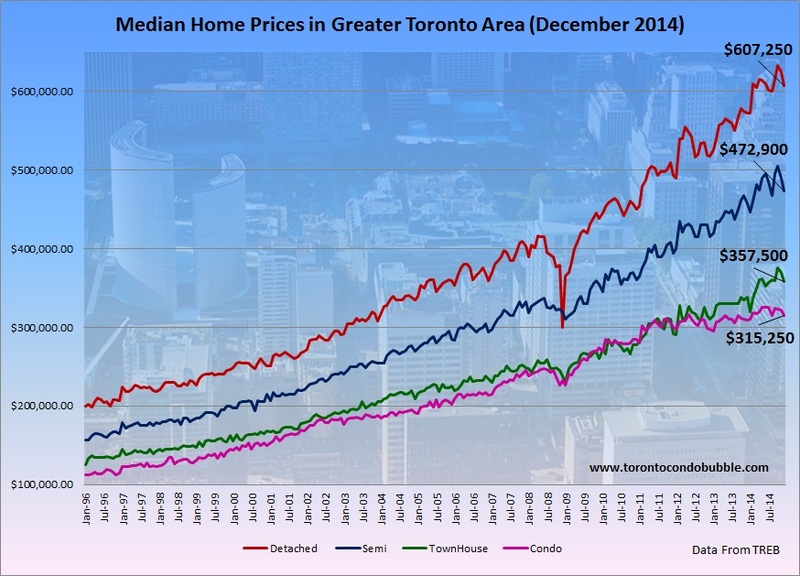 But what about the Toronto condo/housing market? What's the latest? Below I've updated most of my graphs with a little added commentary. 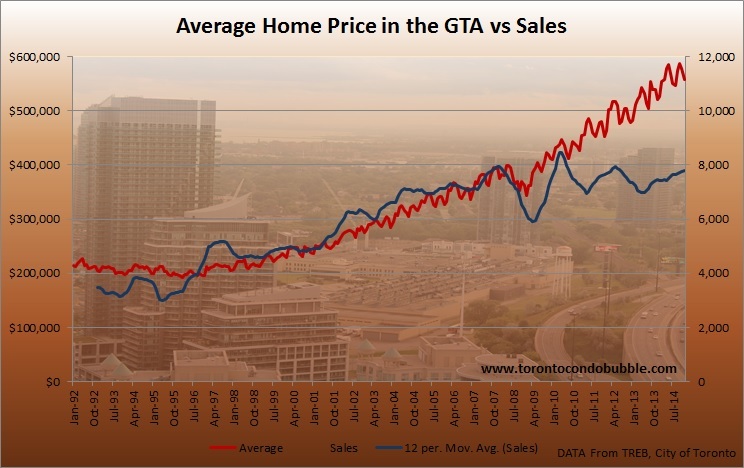 According to TREB the average home price for 2014 in Toronto was $566,726 which is an 8.4% increase from a year before. Annual sales volume was just under the peak reached in 2007. 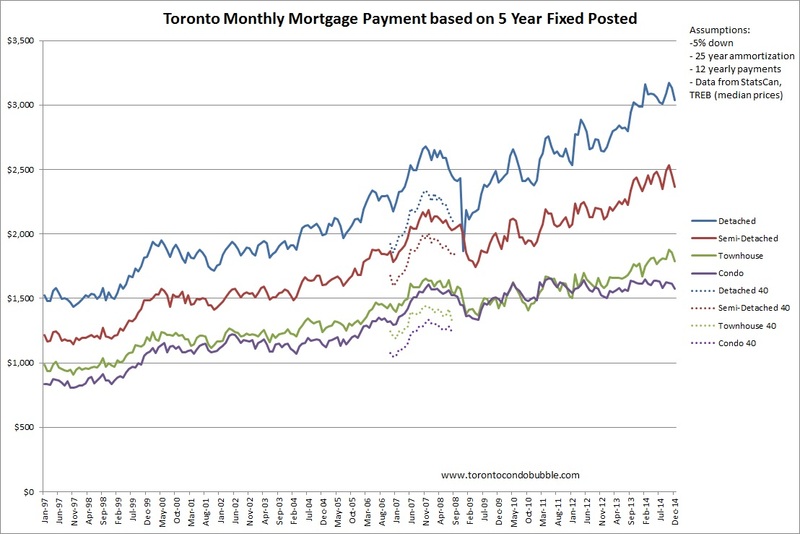 The graph below show mortgage payments for the median home price in Toronto based on a 5 year fixed mortgage rate. 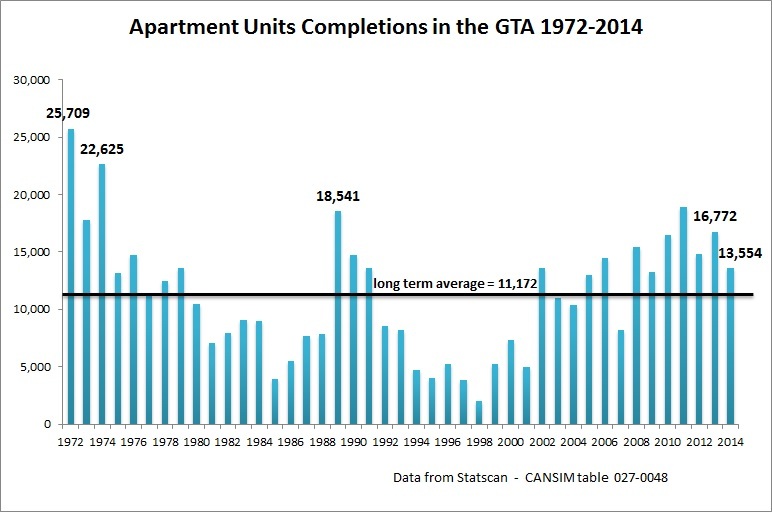 As of December 2014 there were 56,739 apartment units under construction. This number has been sitting near peak for almost a year now. 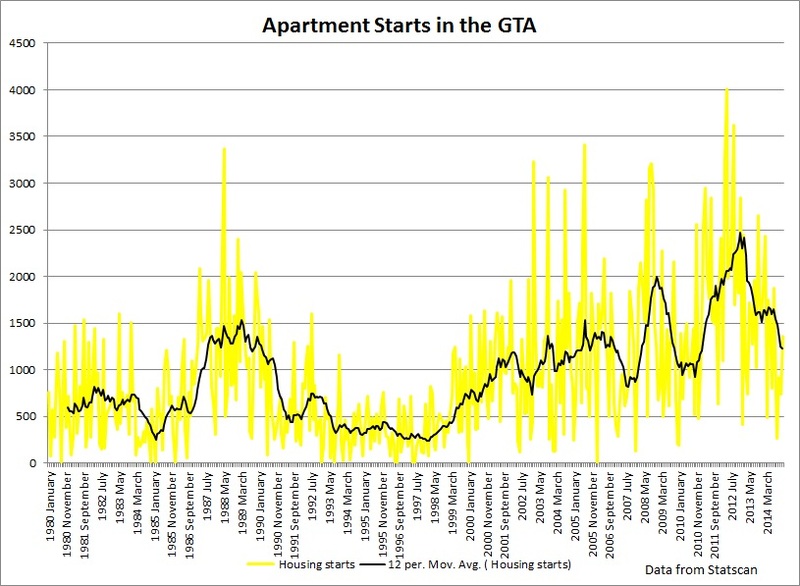 Housing starts peaked in the summer of 2012 as according to the graph below. 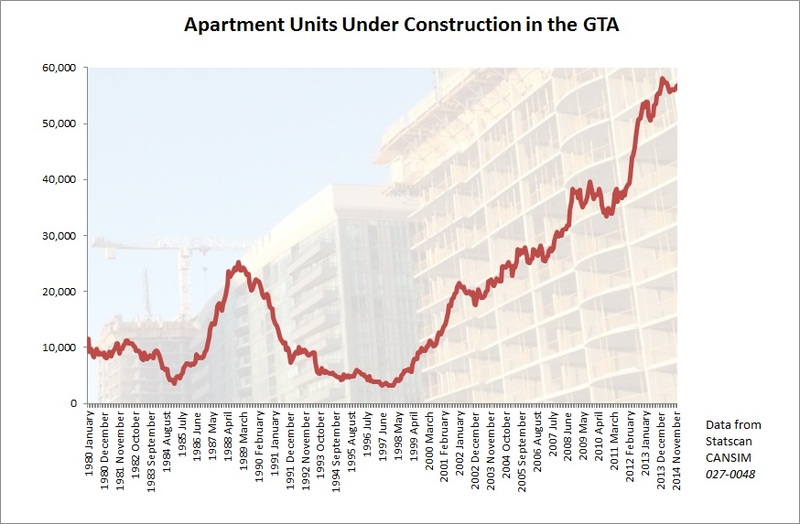 Also, Toronto is no longer number one when it comes to condo tower construction numbers. Overall in 2014, there were 13,554 new apartments completed. I honestly expected there would be more and something still doesn't feel right. 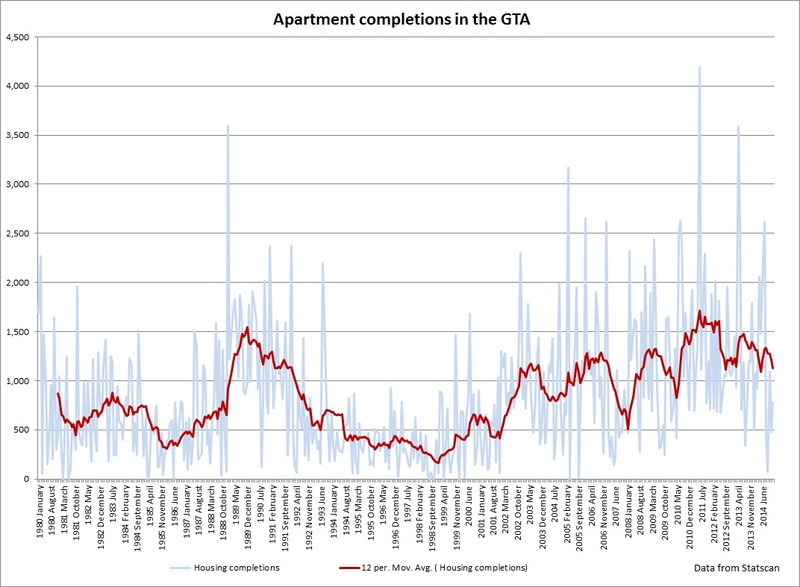 As per Stats Canada data, there were only 70 condo completions in September 2014. Very weird. But Realnet has different data. According to them, there were 25,571 new condos completed in 2014. A record high. Personally, Realnet data seems more plausible to me than that of Stats Can. New condo sales are rising again.. 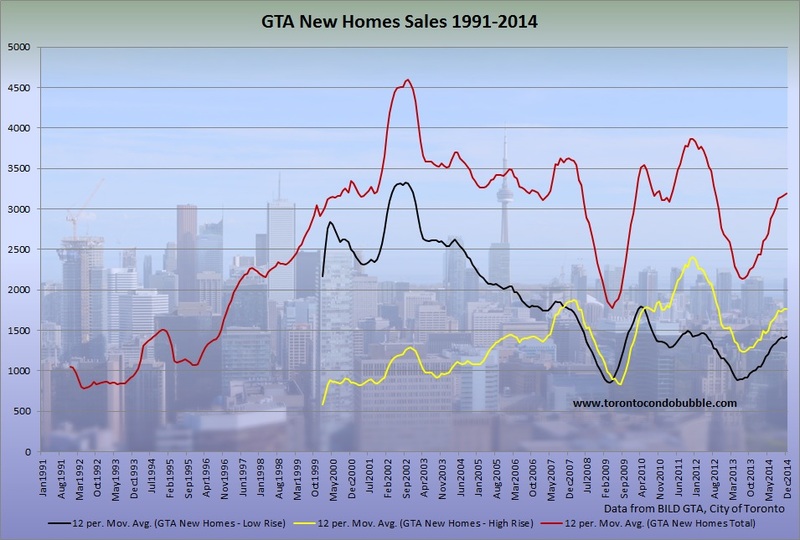 Overall, new home sales in the GTA were 41% higher in 2014 vs a year earlier. 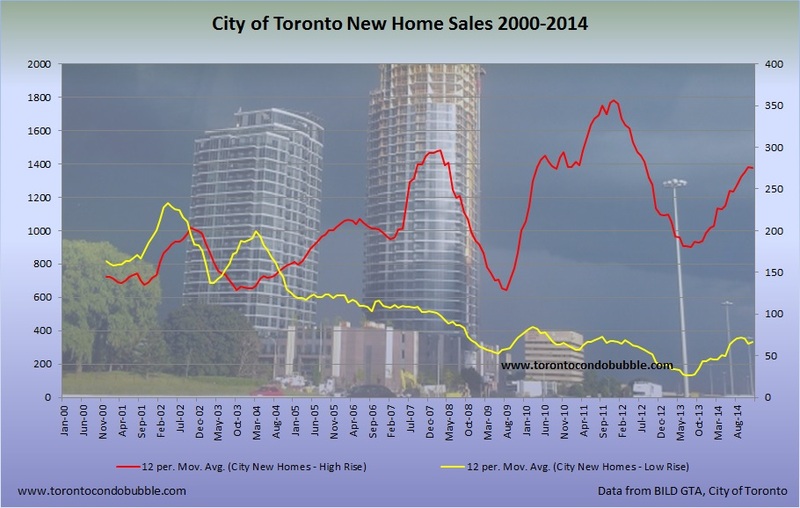 New low rise homes increased 8% in price and condos went up by 4% in value compared to 2013.